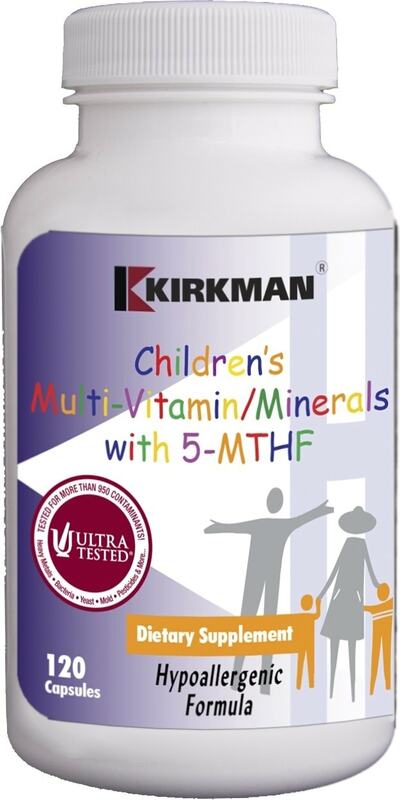 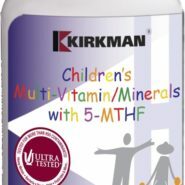 Provides broad spectrum, high potency vitamin/mineral supplementation. 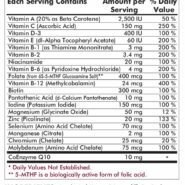 FREE OF: Soy, wheat, casein, gluten, milk, egg, yeast, artificial flavorings, artificial colorings, peanuts, tree nuts, fish or shellfish. 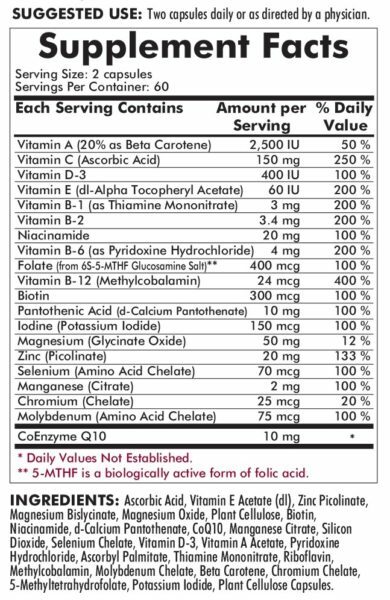 INGREDIENTS: Ascorbic Acid, Vitamin E Acetate (dl), Zinc Picolinate, Magnesium Bislycinate, Magnesium Oxide, Plant Cellulose, Biotin, Niacinamide, d-Calcium Pantothenate, CoQ10, Manganese Citrate, Silicon Dioxide, Selenium Chelate, Vitamin D-3, Vitamin A Acetate, Pyridoxine Hydrochloride, Ascorbyl Palmitate, Thiamine Mononitrate, Riboflavin, Methylcobalamin, Molybdenum Chelate, Beta Carotene, Chromium Chelate, 5-Methyltetrahydrofolate, Potassium Iodide, Plant Cellulose Capsules.